264 pages | 23 B/W Illus. As the material anchors of globalization, North America’s global port cities channel flows of commodities, capital, and tourists. This book explores how economic globalization processes have shaped these cities' political institutions, social structures, and urban identities since the mid-1970s. Although the impacts of financialization on global cities have been widely discussed, it is curious that how the global integration of commodity chains actually happens spatially — creating a quantitatively new, global organization of production, distribution, and consumption processes — remains understudied. 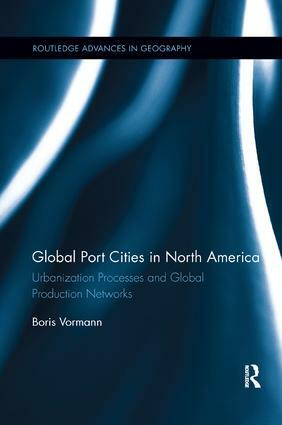 The book uses New York City, Los Angeles, Vancouver, and Montreal as case studies of how once-redundant spaces have been reorganized, and crucially, reinterpreted, so as to accommodate new flows of goods and people — and how, in these processes, social, environmental, and security costs of global production networks have been shifted to the public. Boris Vormann is a lecturer in political science at Freie Universität’s John-F.-Kennedy Institute and associated researcher at the Université du Québec à Montréal.